Hane Lee, PhD is an Assistant Professor in the Department of Pathology and Laboratory Medicine in the David Geffen School of Medicine at UCLA. As part of the UCLA Clinical Genomics Center, Dr. Lee specializes in molecular genetics and genomics and performs analysis and interpretation for Clinical Exome Sequencing test. Dr. Lee completed her undergraduate study at the Korea Advanced Institute of Science and Technology (KAIST) and came to UCLA to earn PhD in Human Genetics. 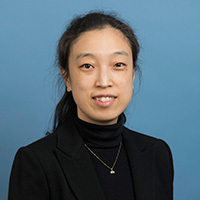 Dr. Lee joined the Pathology department in 2011 as an Assistant Researcher and was appointed as an Assistant Professor in 2014.
sequencing identifies PDE4D mutations in acrodysostosis. Am J Hum Genet, 2012. 90(4): p. 746-51.